In 2018 Cambodia experienced the third largest increase in international tourists in Asean, behind only Vietnam and Indonesia, according to data recently released by the Ministry of Tourism. Last year, the number of international tourists visiting the Kingdom grew by 11 percent, a rate surpassed only by Indonesia, where foreign tourist arrivals grew by 11.6 percent, and Vietnam, who saw a 19.9 increase. 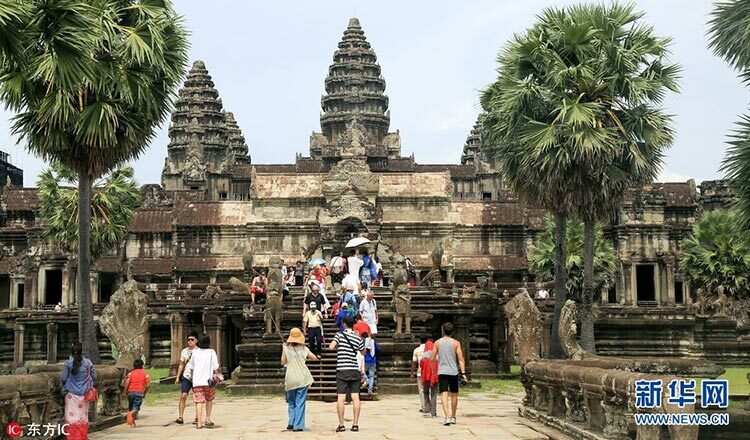 A total of 6.2 million foreign visitors travelled to the Kingdom last year, making Cambodia the seventh most visited country by international tourists in 2018. Laos, Myanmar, Brunei ranked eighth, ninth and tenth, respectively. Thailand was the top destination for international tourists in the region, with 38 million visitors, followed by Malaysia (23 million), and Singapore (16 million). International tourists to Asean grew by 7.4 percent for a total of 129 million visitors. In Cambodia, Chinese tourists continue to top the list of visitors by nationality. 1.9 million Chinese nationals visited Cambodia last year, a whopping 70 percent increase, Tourism Minister Thong Khon recently said. The minister added that by 2020 the government expects at least 3 million Chinese tourists a year, projecting that the total number of international tourists will reach 7 million that year.